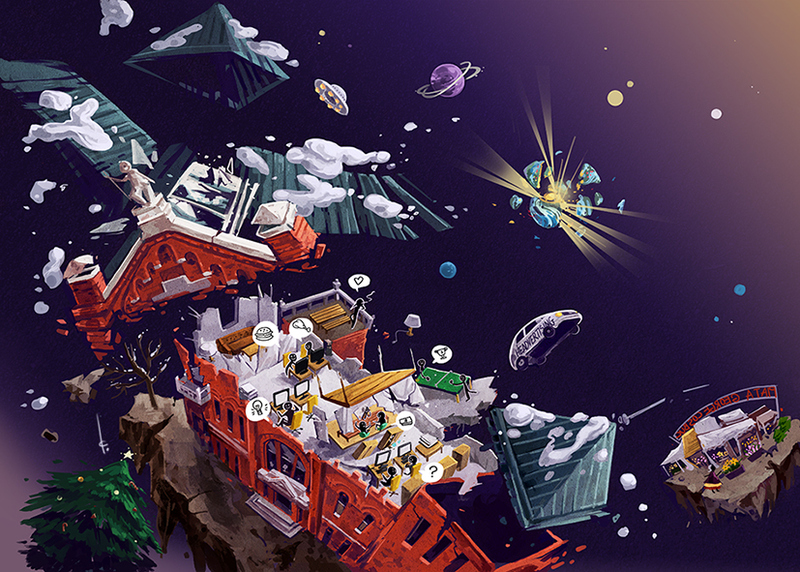 Commissioned illustrations for Headvertising Christmas greeting 2012. 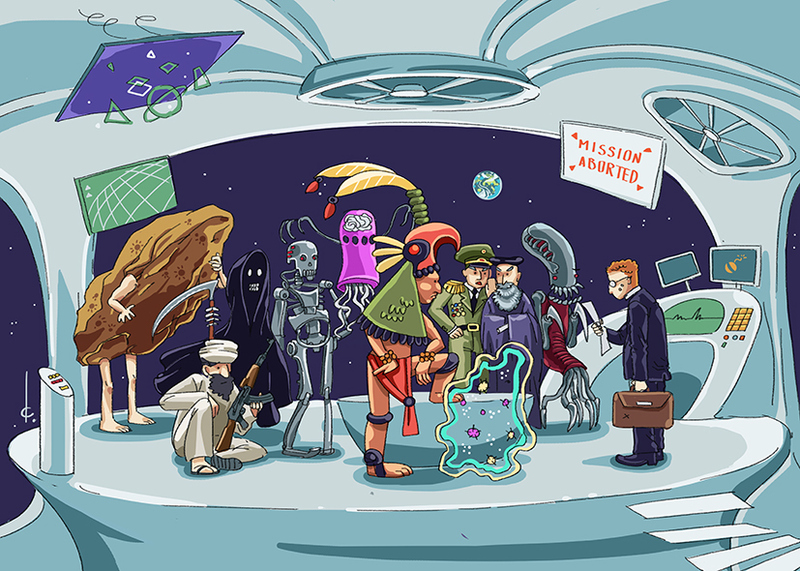 Themed "The end of the World", the first illustration is of the agency building and floor details- depicting the end of the world. The second illustration is an account guy announcing that the execution of earth-destruction has been called off due to budget constraints. Card layout by Andrei Besliu of Headvertising.